The balcony was spacious with a lovely view over the bay. It gave shelter both from wind and strong sun during the days. The kitchen was well equipped. It even had wine glasses. Excellent! The location is very good plus the views from balcony are fantastic. The hosts are super nice and very helpful. We will definitely come back. We loved the view!!! I think we had the best view on the whole island what we could have enjoyed from our huge terrace. 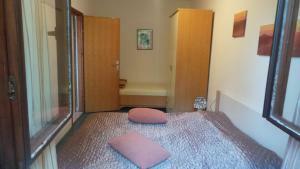 The apartment is just for a few minutes walk from the nearest beach. The apartment owners are very nice and helpful. We had our own parking place which was great as it is nearly impossible to park in Baska. We saved the phone number and address and already recommended for friends. 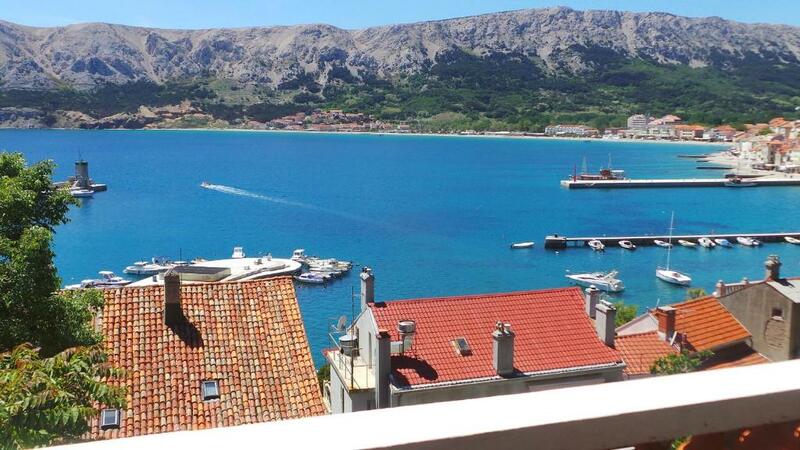 The best apartment to stay in Baska. 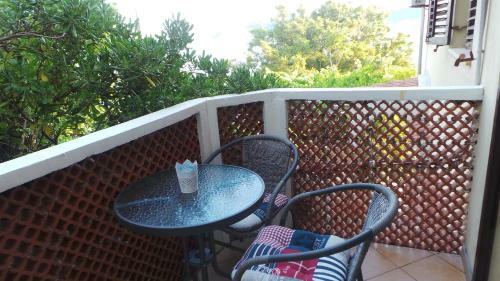 Very beautiful room view on the sea, large terasse, very nice hosts. Close to the city. Defenetlly comming back. Recomend! Sehr schöne Lage am Hang mit Blick über die Bucht von Baska vom Balkon und Treppe zur Strandpromenade, die direkt beim wahrscheinlich besten Fischrestaurant herauskommt, inmitten von einem vielfältigen Garten mit Trauben, Feigen und vielfältigen Gewürzpflanzen. Sehr engagierte und freundliche Gastgeberin, die alle unsere Wünsche erfüllt hat. La vista dalla terrazza è spettacolare, e quella da sola vale tutto il costo dell'appartamento. Nives, la proprietaria, è sempre stata attenta ai nostri bisogni e desideri: addirittura ci ha permesso di cogliere fichi ed uva dagli alberi del pergolato e il giorno della partenza, non avendo immediatamente altri ospiti, ci ha lasciato qualche ora in più rispetto all'orario previsto dal check out. La posizione è ottima, in quanto leggermente defilata dal centro, comunque raggiungibile in 5 minuti. Sehr nette Vermieterin, bei Fragen war sie telefonisch gut erreichbar! Die Lage top, sowie traumhafter Blick aufs Meer! Sehr empfehlenswert!! Schöne Ferienwohnung in toller Lage. Highlight ist der große Balkon mit toller Aussicht. Alles zu Fuß erreichbar. Netter Kontakt zur Vermieterin, die auch sehr gut deutsch spricht. Wir kommen bestimmt wieder. 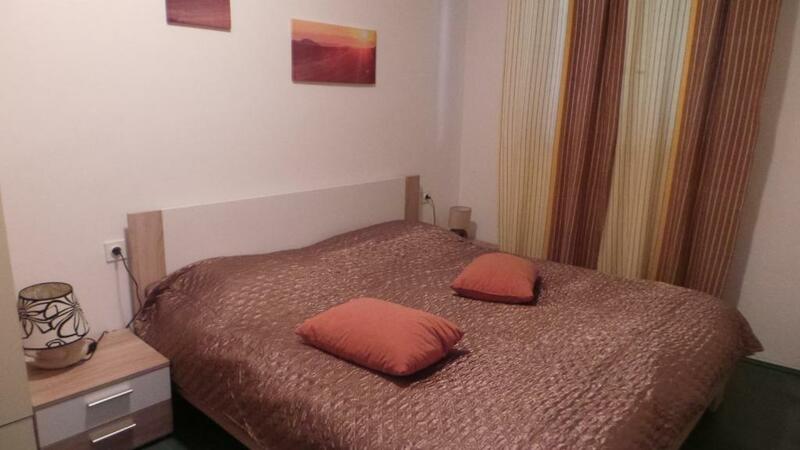 Lock in a great price for Apartments Andrea – rated 9 by recent guests! Apartments Andrea This rating is a reflection of how the property compares to the industry standard when it comes to price, facilities and services available. It's based on a self-evaluation by the property. Use this rating to help choose your stay! Apartments Andrea provides barbecue facilities, as well as accommodationss with free WiFi and a kitchen in Baška. 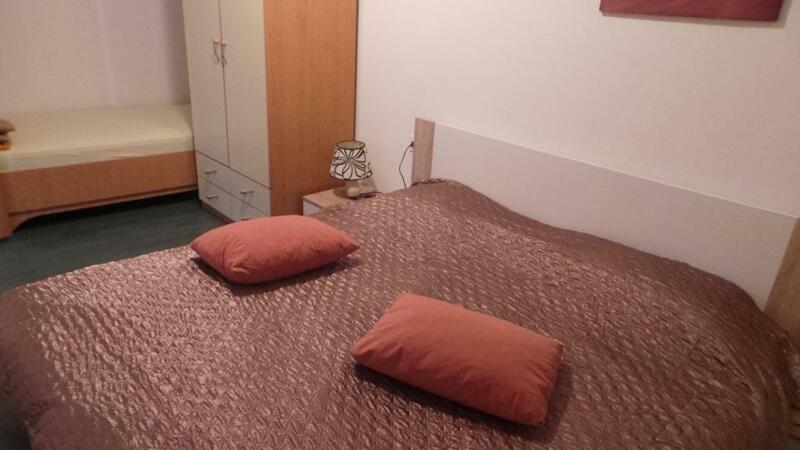 Fitted with a balcony, the units feature a flat-screen TV and a private bathroom with shower. A fridge and stovetop are also available, as well as an electric tea pot. Diving and hiking can be enjoyed nearby. Baška Port is a 3-minute walk from Apartments Andrea. 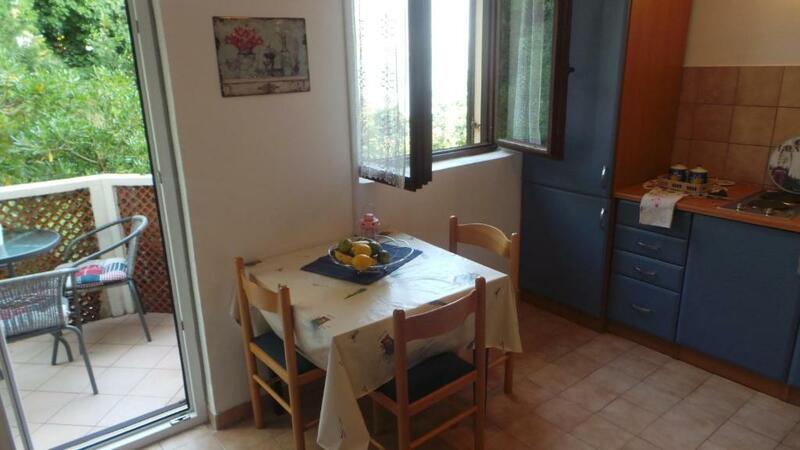 뀐 Located in the top-rated area in Baška, this property has an excellent location score of 9.3! When would you like to stay at Apartments Andrea? 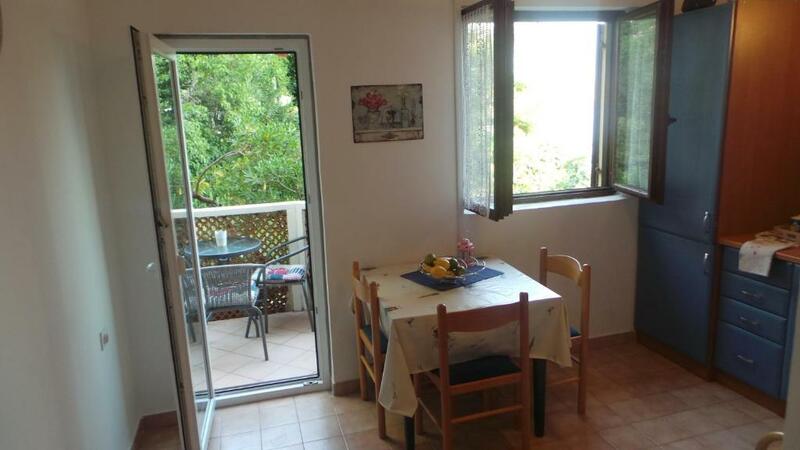 This apartment features a sea view, air conditioning and oven. Apartmani Andrea nalaze na lijepoj lokaciji , iznad lučice, u blizini nudističkog kampa. Terasa apartmana Dea 1 ima direktan, lijepi pogled na cijelu baščansku uvalu i okolne otoke. Balkon apartmana Robi 2 ima također pogled na more ali ipak nešto sa strane, ne toliko direkt. Do same kuće s morske strane vode stepenice koje nikako nisu pogodne za slabo pokretne osobe . Parkiralište je 100m iznad kuće na glavnoj cesti te nije problem prilikom iznošenja stvari u i iz apartmana. Napominjem da se iz kuće ne vidi parkiralište, koje je privatno i ne naplaćuje se. Posebna napomena... Dragi gosti, iskoristite ljepote sunčanog maja i uživajte u našim apartmanima sa jednim od najljepših pogleda na čitavu bašćansku uvalu.Apartmani su na mirnom mjestu, nema pregršt okolnih objekata u okolini, a i vaši kućni ljubimci su dobrodošli, jer i mi imamo svoje. House Rules Apartments Andrea takes special requests – add in the next step! Please inform Apartments Andrea of your expected arrival time in advance. You can use the Special Requests box when booking, or contact the property directly using the contact details in your confirmation. You had to hold the shower handle because there was no shower holder.